ijiri 聖 is a new Mr Kazuo Kiuchi, Combak Corporation owner's, brand. 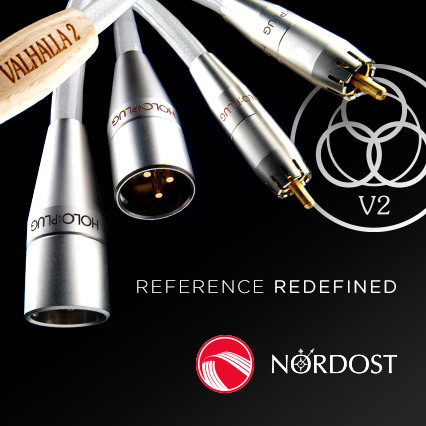 The first product of this line was an analogue interconnect, that we reviewed in August 2015. The awards we granted to this product: RED Fingerprint and Best Sound 2015 – (see HERE and HERE) best proved our appreciation of Mr Kiuchi's latest achievement. On the outside the IC looked quite ordinarily maybe accept for the extraordinary make&finish. What caught the eye was a very nice wooden block placed mid-length of the cable, and a cotton sleeve (not a plastic one). The sleeve coloring was also quite particular, here in Poland it reminded us of a main lead used for irons, and it surely visually distinguished this product among others. Before Mr Kiuchi created similarly looking Harmonix power cables. Now the above mentioned IC has a new partner in the line, a power cable called Nagomi. 聖Hijiri in Japanese means ‘maestro’ or ‘important leader’. Mr Kiuchi chose this name for his new interconnect to emphasize its distinctiveness and how important this new product actually was for him. Now it would seem that we can expect the whole line of products. 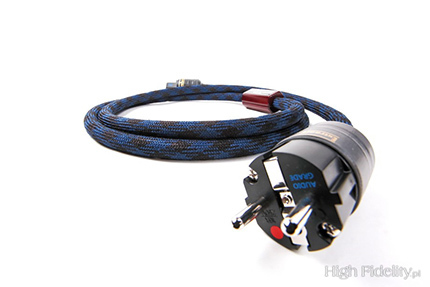 The next member is a power cable called Nagomi (Japanese for: peace in soulfully relaxing). As usually we know almost nothing about technical details of this cable – Mr Kiuchi when asked about it each times suggests they I should enjoy the music and forget about technologies involved or specifications as these are only means to ultimate goal - performance. He also told me one that „no matter what he would write about a product, whatever specifications would he give, it all wouldn't matter at all unless music sounded right”. The company's paper on this products starts with: „The world only Tuned Power Cord”, which suggests that the design was 'tuned' during numerous listening sessions. The same wires used for Nagomi were also used for cables working in JVC mastering studio, the one that masters material for XRCD releases. What we do know is that Mr Kiuchi used a directional OFC. The plugs with rhodium-plated contacts are marked as: 350iRH and 390iRHi. Polarity is clearly marked on the plug and one should follow this marking. 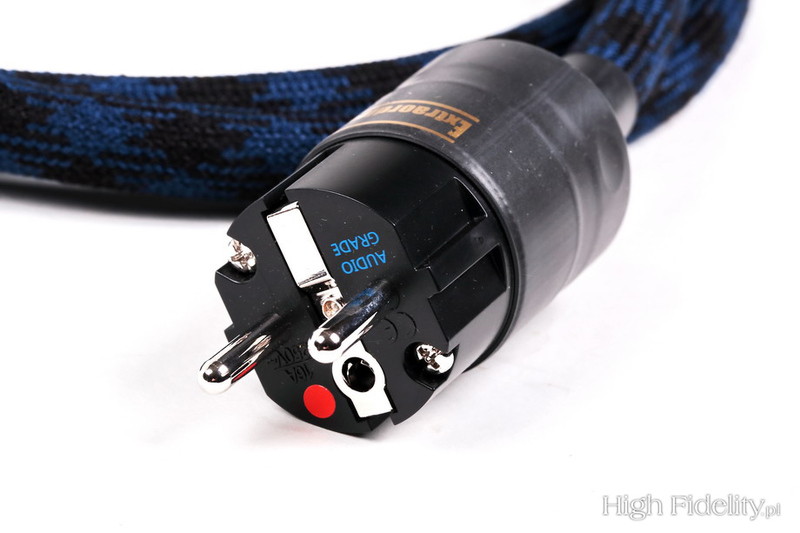 There is a writing on plugs' heat-shrinks that says: „Extraordinary Dynamic & Clear”. 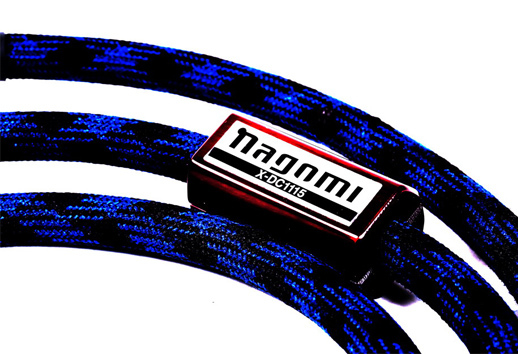 Nagomi is a pretty flexible cable. It is available in five standard lengths: 1/1,5/2/2,5/3 m.
While tested Nagomi was compared to my reference cables: Acrolink Mexcel 7N-PC9500, Crystal Cable The Absolute Dream and Harmonix X-DC350M2R Improved-Version. I used it to power my Ancient Audio Lektor AIR V-edition CD Player, RCM Audio Sensor Prelude IC phonostage and Soulution 710 power amplifier. Differences introduced by power cable might be more or less obvious but they are always there. They are less obvious if the cable we compare to our reference cable has a similar sonic signature or when the system we use is not resolving enough to show these differences. Sometimes a system is quite resolving, fully capable of a very good differentiation but some other particular attributes, either in tonality, dynamics, or something else, mask the differences introduced by power cable.